Ok - was about time I did this as I have had the ARB bushes for over a year now. So what do you need?? About 45 mins of your precious time. 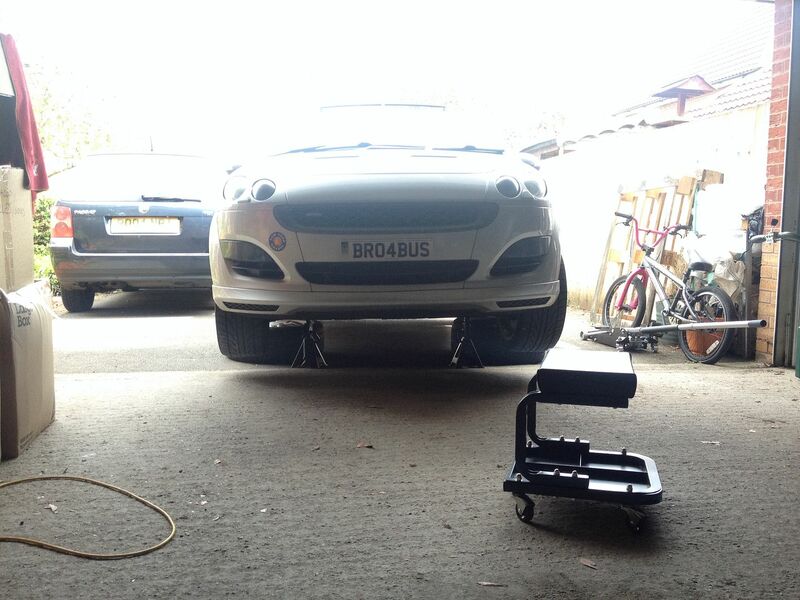 Firstly jack up the front of the car as high as it will go and rest on axle stands (chocking the back wheels of course. 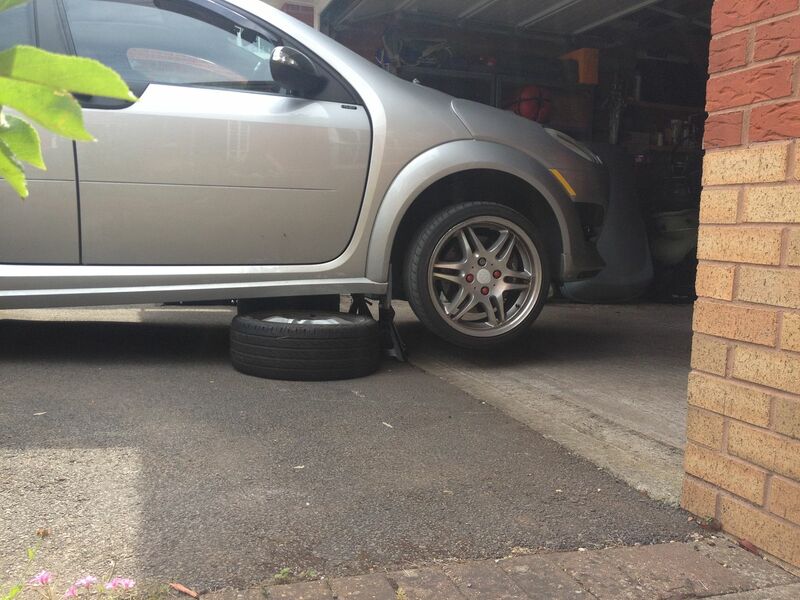 Once up in the air, I also like to place some spare wheels under the car for double protection!! 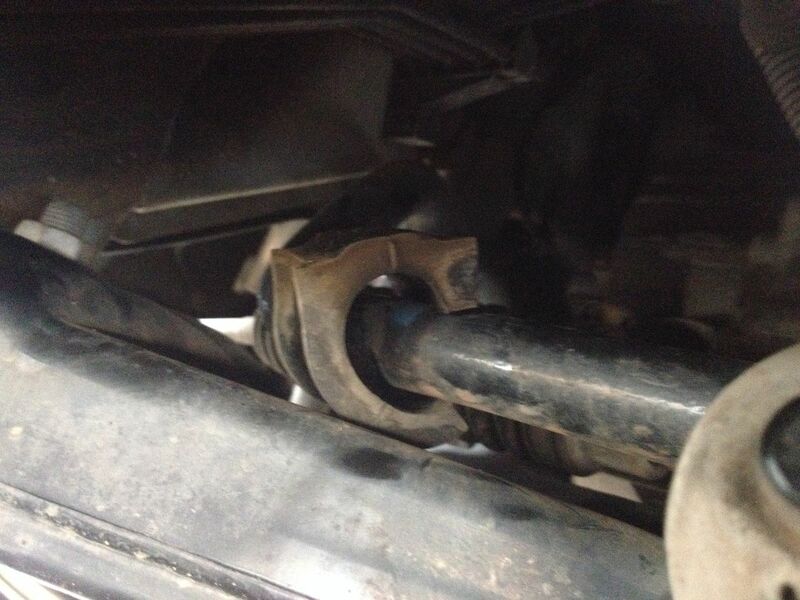 The car has to be in the air and off the wheels to take the load off the Anti Roll Bar (ARB) - if you don't do this, when you release the bolts the pressure will launch the ARB into the underside of the car and probably crush your fingers. 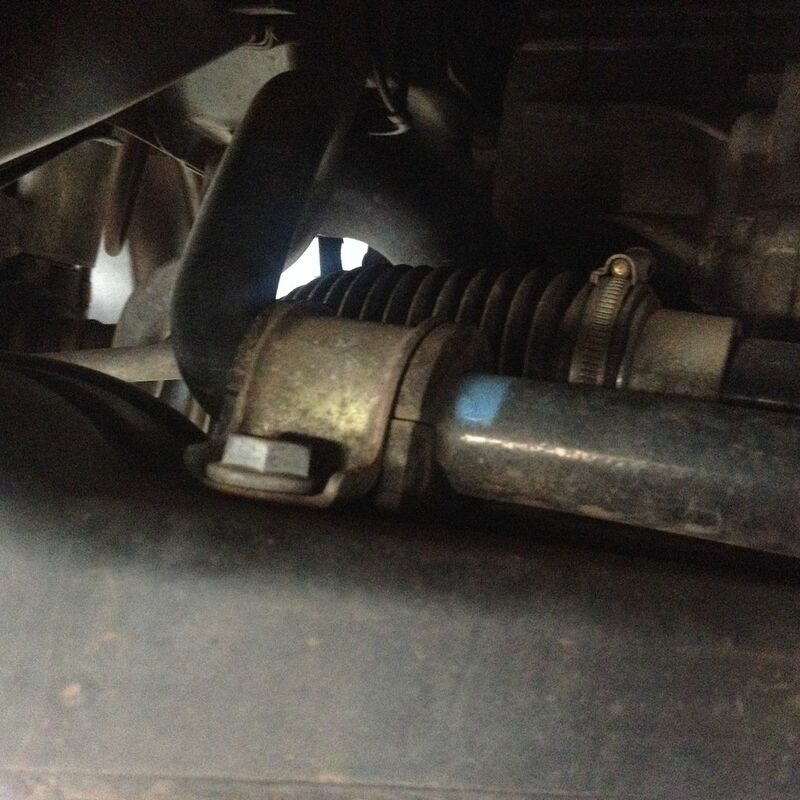 Climbing underneath, you can see the 2 bushes held in place by 2 retaining clamps that bolt onto the top of the subframe. 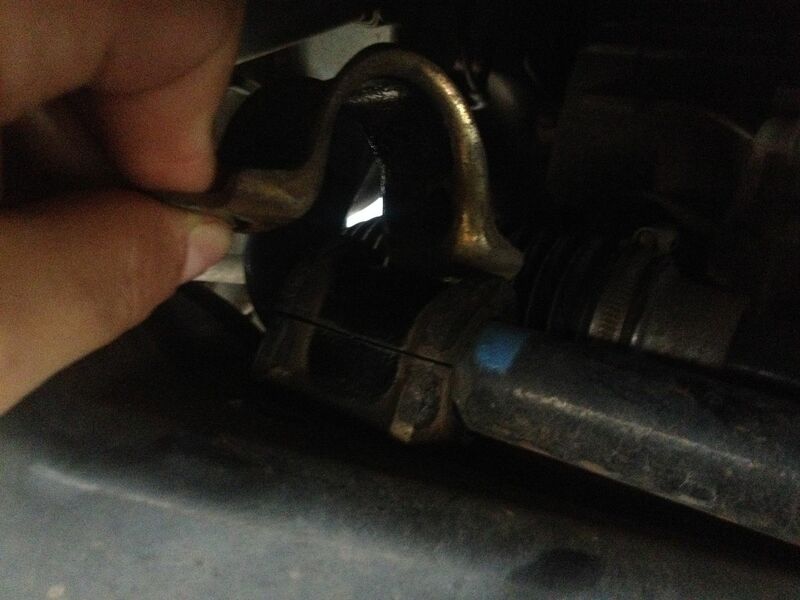 the left bush access is ok and can be just about managed using a socket for both the front and rear bolt. 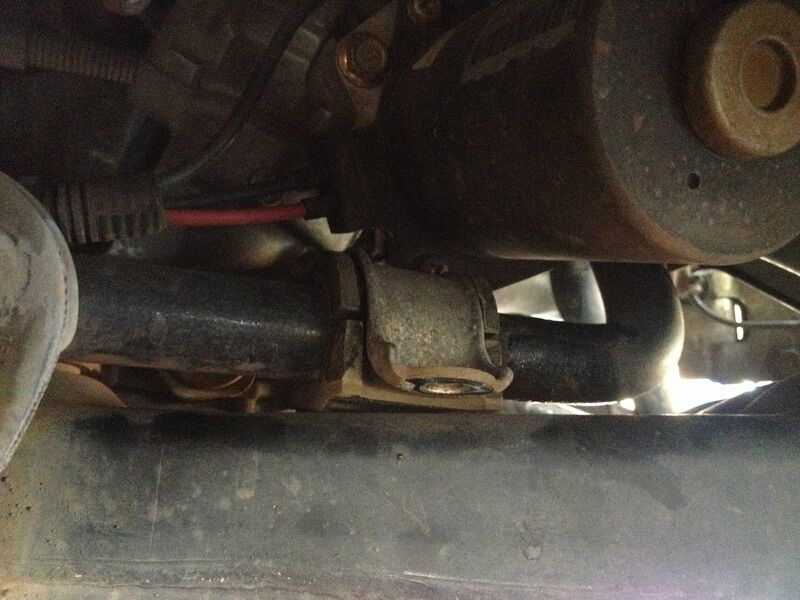 the right bush has limited access due to the power steering motor. The rear most bolt (shown in the pic) can be accessed with a spanner and the front bolt needs to be accessed by removing the RH front wheel. tighten everything up, refit the wheel and then drop the car back off the axle stands and all done. All i would say is that you may need a combination/variety of extensions, socket arms and spanner lengths to make things easiest given the v v limited space. Hope that helps. It really is an easy swap over. 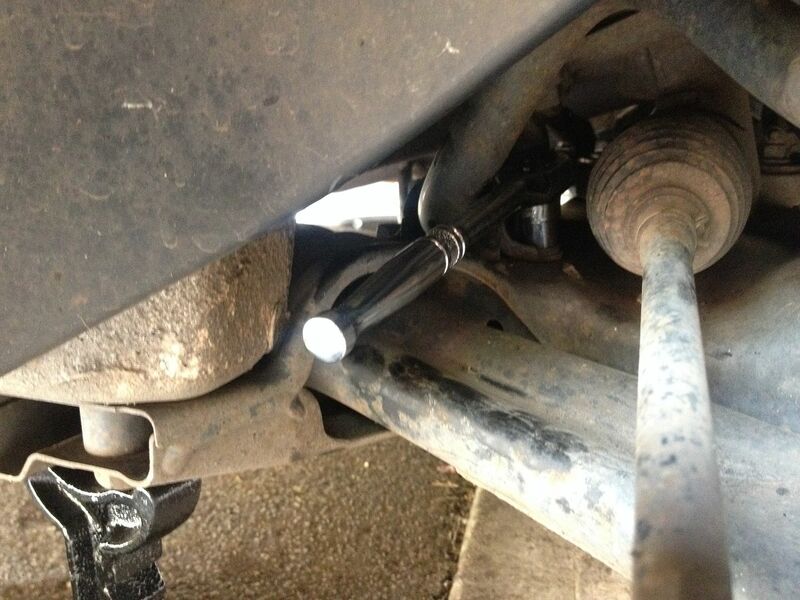 this is easy for a diy mechanic and totally transforms the feel of the car. 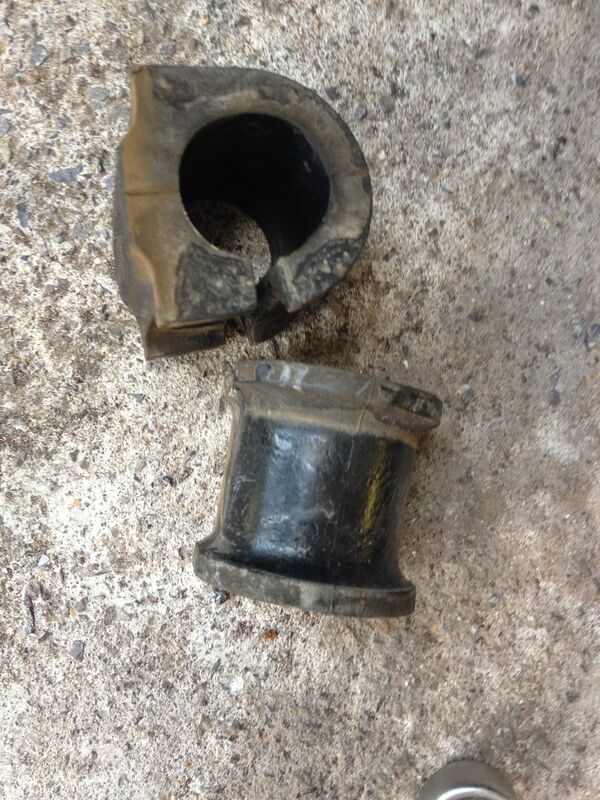 New OEM bushes will also do this but if changing then you may upgrade for a few ££ more. Do they smell of oranges? Noisy? Just wait until the grease has dried out. Will soon sound like rubbing moist polystyrene against a pane of glass. Been on for about 6 weeks now and still feel tight. We had this discussion before. Any improvement is purely placebo. Although different cars, below quote is from a post made 21 April 2013 on same subject. 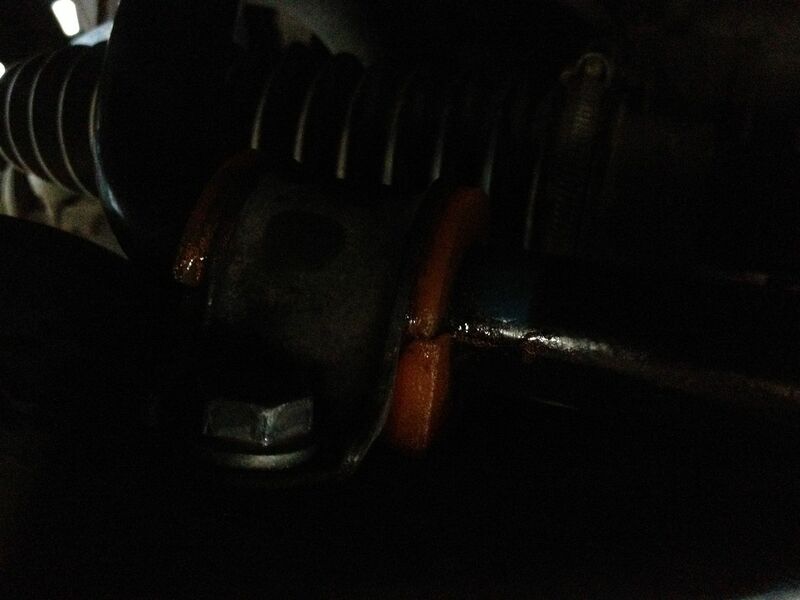 Front sway bar bushes on my Smart Cabrio are 47 mm wide and only 4 mm thick. 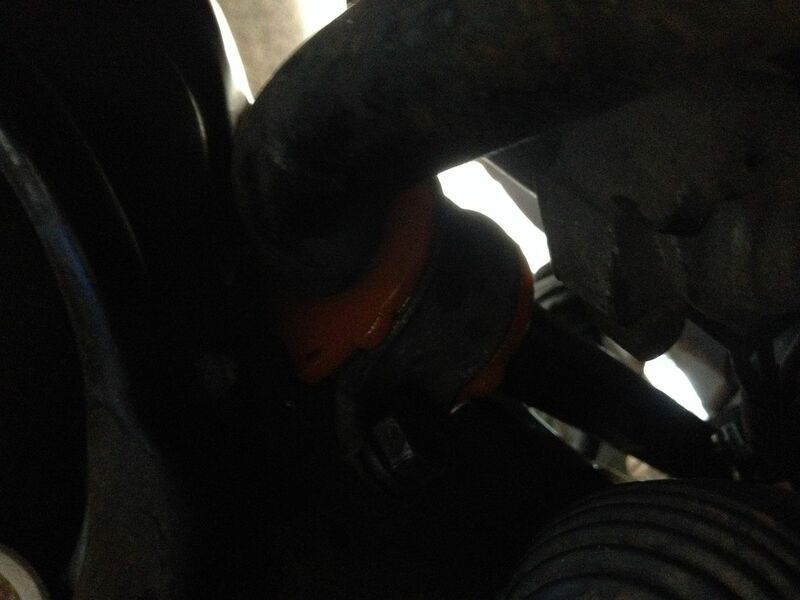 OD of sway bar in way of contact with bushes is about 21 mm. 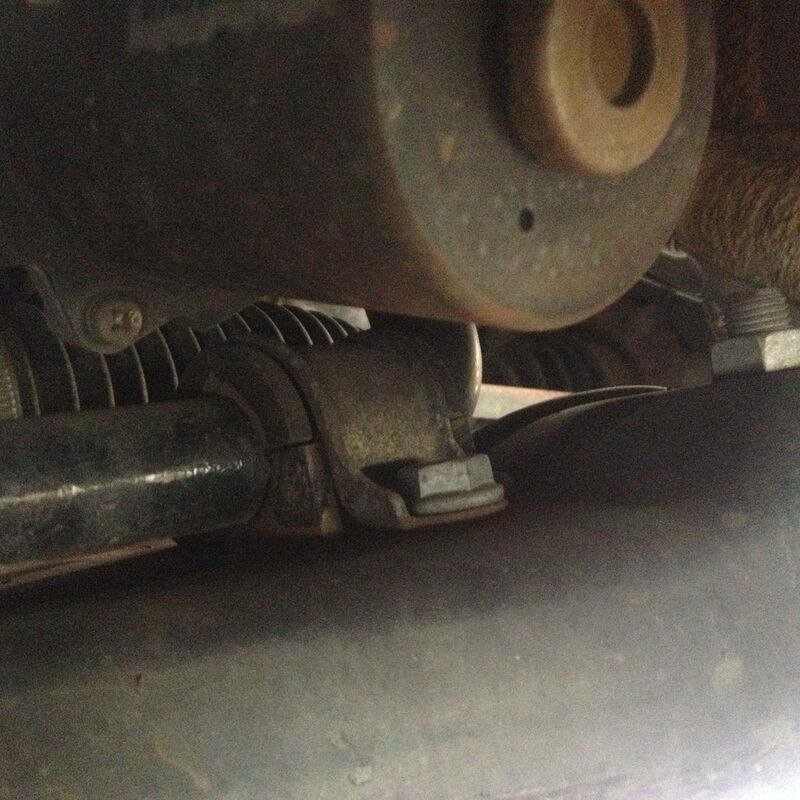 This means compressive stress in bush is negligible hence movement of sway bar in bush is almost nil. "Upgrading" to overpriced and poorly made poly bushes will therefore not provide any improvement except lots of squeaks if that is what you prefer. 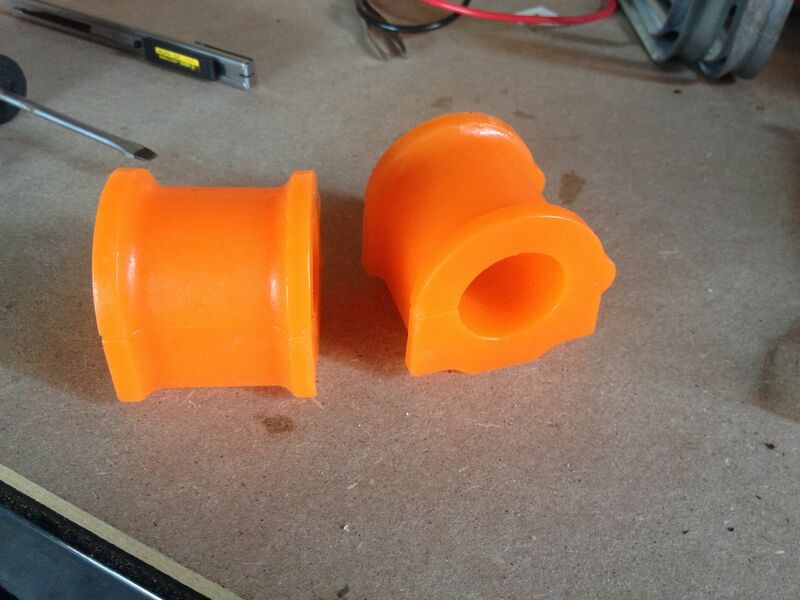 Upgrading to poly over the soft rubber - TBD. So far there is zero issue from actual use. 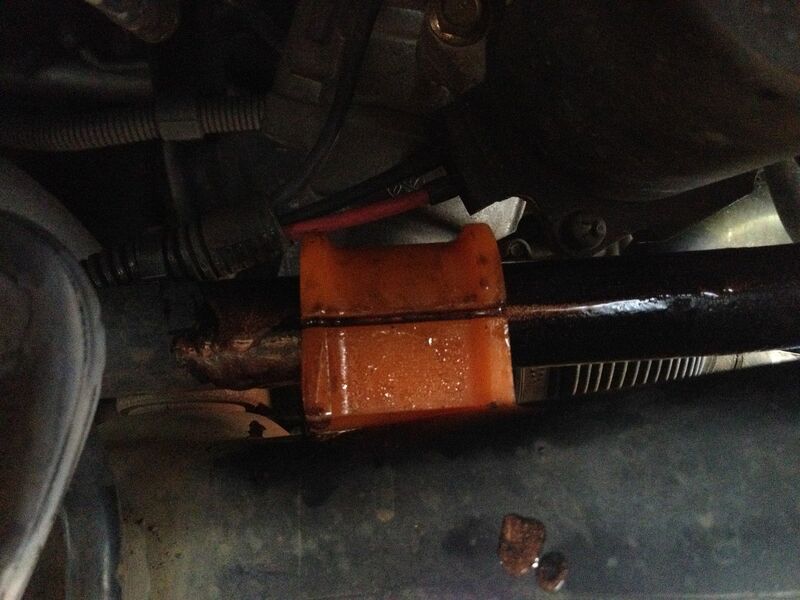 but the guide suits either upgraded or oem swap. Yes I agree there would be a handling improvement if the old bushes were knackered. Expensive though compared to OEM bushes but no problem for you since you probably got a fifty Pound cashback through Quidco. nope - but quidco cash back paid for them so were free (so much cheaper than OEM) haha!! As no one has said it well done JJ for the write up and the pictures, it will help someone one day.